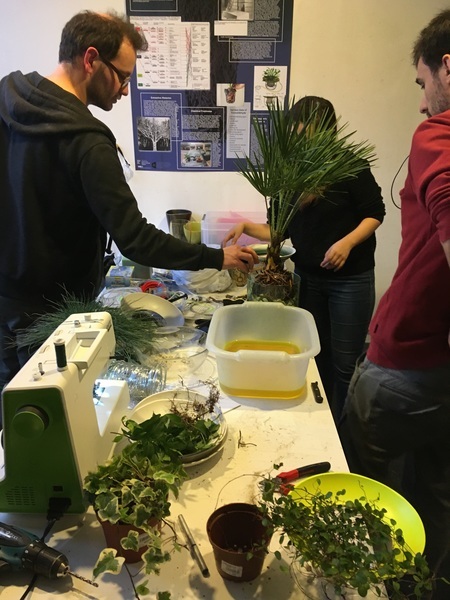 On February 2nd 2017 approximately 20 people attended a workshop held at la cité internationale des arts in Paris, aimed at building the third iteration of our indoor air remediation kit. See this initial note for motivation and background. Initial research and iteration aimed at increasing efficacy of an inexpensive DIY indoor air remediation system. The first field test yielded a promising initial result of a 40% decrease in formaldehyde, which after some small improvements (chiefly moving from soil to hydroculture growth media) more than doubled the formaldehyde degradation capacity of the kit, yielding results of 84%. And while the issue of domestic formaldehyde continues to loom large, usage of this kit has been minimal despite its extreme cost efficacy. It has been a strange place to be in to have such high demand, but such low uptake. Our assessment is that the labor of assembling all of the read-made components can be daunting--some parts come from pets stores (the pump, airline, and activated carbon) some from the plant nursery (plant itself and hydroculture growth medium) and some from wherever you can source it (such as the pot itself, which might come from a thrift store, your garage or your grandma's house). As a result we began to discuss ways to produce custom kit that was able to be produced at scale, further reducing costs and increasing access. This led us to collaborate with the industrial designer Christophe Guerin, to design and produce prototypes that could be industrially produced. Christophe's designs for the third prototype are below. Christophe reminded us that the most costly part of this system (both to engineer and ship) is the aspect that is most readily at hand: the pot/planter itself. With this in mind, Christophe set out to adapt our designs into a system that would ship flat (or as flat as the pump itself allows) and adapt to a range of pot sizes, eliminating the need to ship a pot as part of the process and eliminating the need for unnecessary consumption and waste. The workshop was well attended on a rainy day, with the swollen Seine River coursing a 100 meters to the South. While water contamination due to flooding seemed a more pressing issue, the group thoughtfully considered the chronic issues of indoor air quality. 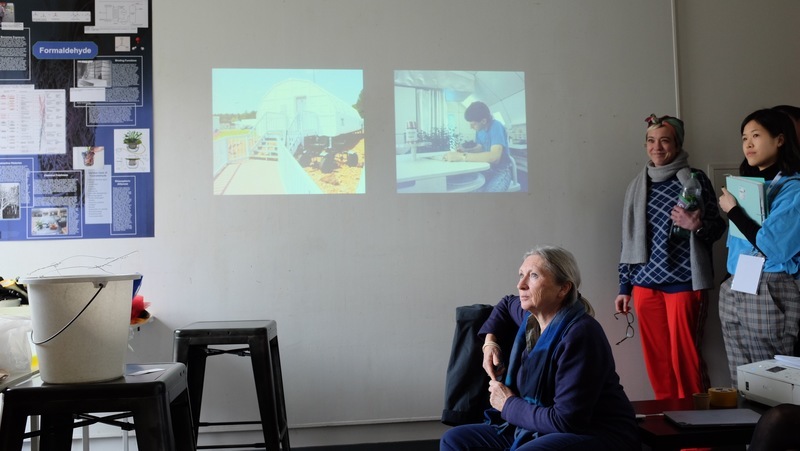 The workshop began with the background history of air remediation science, how it moved from NASA-made speculative Martian homes to mobiles homes, and discussed some of the fallacies of thinking that a plant or two on their own could remediate contaminated indoor atmospheres. We then discussed the early prototypes and their lack of uptake, which led us into the assembly of the prototypes. Prototype assemble was possible due to funding from 'Chaire Arts & Sciences' : Fondation Daniel et Nina Carasso and Public Lab. The workshop was also made possible by countless long nights and early mornings of work by Christophe as he made a mold, heated and shaped the plastic on the mold and then cut it to the proper dimensions. 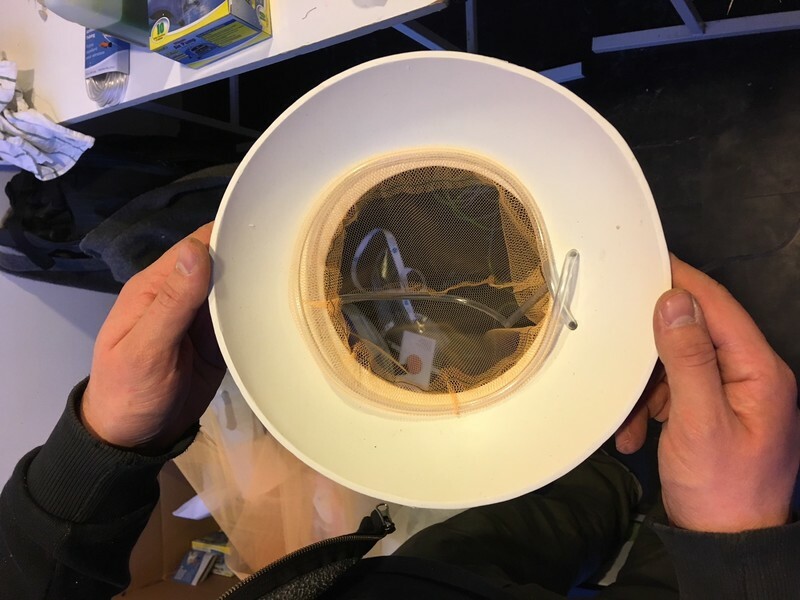 He also bought and sewed the mesh for the plant inserts (the inserts makes for easy removal and cleaning of the hydroculture system). To prepare for the workshop Christophe both every beautifully illustrated Nick's instructions on how to build and care for a plant air remediation system, and translated it to French. 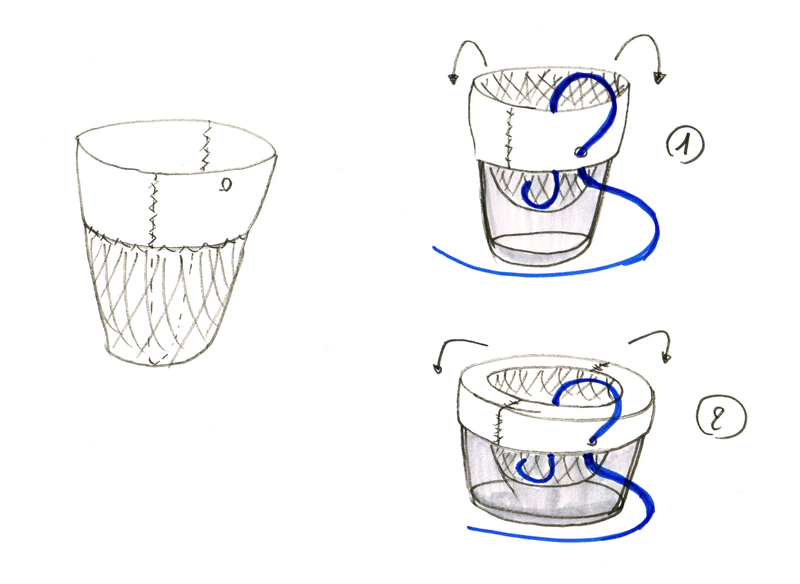 Hole placement on the collar: While the angled collar is able to adapt to a variety of pot sizes and also direct water into the plant during watering, it is not truly versatile as holes drilled into it to fit the airline make some planter diameters unusable (those that would line up with the holes). Tubing placement in the root ball: We watched many participants struggle with getting the tube to stay nicely in the root ball. 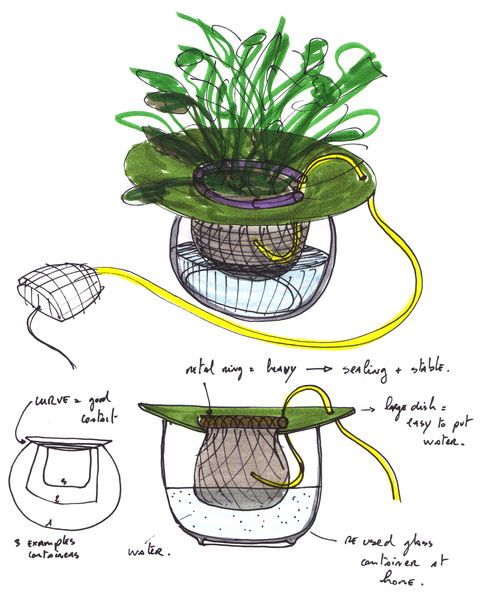 Next iterations could have some fabric that extends from the sides at the right height that could hold the tube in place while the growth medium and plant is placed. Holding the mesh insert: To reduce the number of materials needed, Christophe's prototype holds the mesh insert in the plastic collar by using the airline tubing itself. The system is reduces the complexity of assembly (not requiring tools to drill into the color or brackets and screws to mount the tubing) and is very nice aesthetically. After a bit of trial and error in the workshop, the system did prove to work, but it would require more refinement to make it less fickle in a mass produced kit (such as guiding tabs on the color to keep the tubing in place). It also may not hold the weight of larger plants. Air Leakage: Although we were not able to perform air leakage testing with a smoke machine during the workshop (alas!) it was readily evident that the seal between the collar and the planter was not tight. This could lead to reduced remediation efficiency as air could be pumped out the sides of the planter and never encounter the root system or the plant itself. Prototypes are best tested not at scale: That the very first version of this prototype was produced during the workshop resulted in a lot of trial and error during the workshop itself. This made some participants impatient and also led to issues of having the same problem reproduced across 20 prototypes, as opposed to a single prototype. Each prototype was created in a very labor intensive artisanal way and that process of producing a batch of the prototype lead to perhaps 15+ wasted hours of Christophe's time. In other words, we didn't need to learn the same lessons a dozen times over in a day. Further, participants left with prototypes that may have limited efficacy. This may be an important lesion for Public Lab: that making work public and collective at every stage can at times lead to extreme inefficiencies in process. 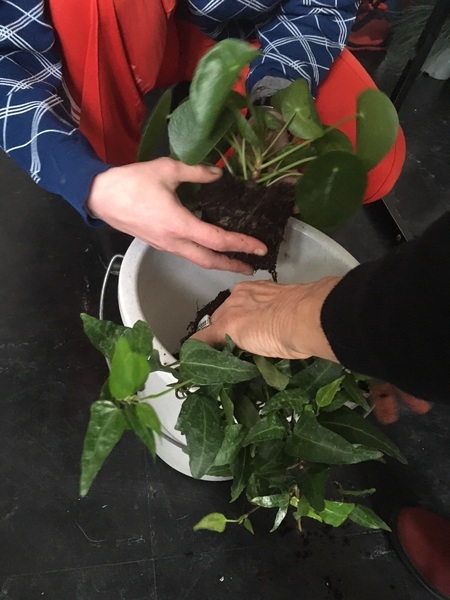 On the other hand, because we produced so many prototypes at once and applied them to many different plants and types of pots, we were able to more concretely see the problems of this prototype and move on to a better design. Material Ethics: The primary material of this prototype is plastic. The plastic comes in white and can be dyed to make it more aesthetically appealing. These dyes may add unnecessary toxics to the kit. It's also interesting, that we just assume the need for rigid plastics when we think of mass producing custom low-cost items. As we began the design process, it seemed like the question was: what shape should the plastic be? But we never asked was rigid plastic even necessary? Are the specialized skills and highly expensive machinery needed to craft these materials the only way forward, even if they seem to produce bottlenecks in who can make these objects? As we were packing up, Garance Malivel (who organized the workshop series that this was a part of), coalesced some of the problems noted above into a potential way forward. As the plastic collar seemed to create as many problems as it addressed, perhaps an all fabric version---eliminated the need for rigid plastic--is the next step. A fabric version made with elastic or neoprene, would be lighter (cheaper shipping), malleable shape for many shipping options, more easily repairable, and require less expensive/specialized technology for production. We could also potentially ship the sewing patterns (my great grandfather was in the sewing pattern business) so that the DIY version and the commercial version were not so dissimilar from each other. Christophe has begun designing this next prototype made of only two materials.The top of the basket will be Neoprene. This material will help to adjust the basket on different size pots. There will be one hole, close to the top, in order to pass the tube trough the neoprene and maintain the tube at the right position. The second part of the basket, will be a thin net. The standard additional materials will be a plastic tube, the pump, hydro-culture growth media, activated carbon, and a container. Here are a couple more images of the event. Thank you so much Liz! We have a new research note on this coming out any day (text is all copy edited) its just a matter of uploading it now. The new version of the kit will be slightly different (with the mesh and not the plastic, outlined in this note) so the instructions may differ by a couple words but not much! I think going forward having a single open doc that we have for the instructions (and with outdated versions of the doc saved as different versions) would help prevent snags going forward. In terms of translation do translators then just post a copy of the open doc? I understand more about how an open doc would work for layout than how it would work for translations.